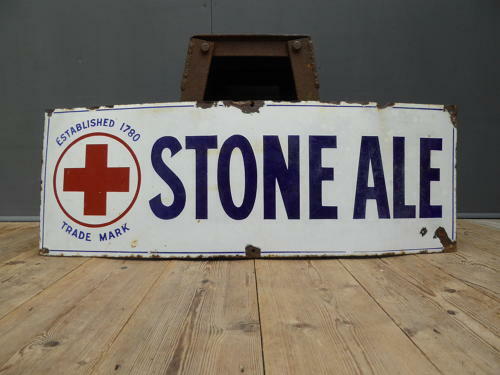 A fantastic early vintage enamel advertising sign for Stone Ale. A wonderful & seldom found brewery sign featuring some great colours & striking red cross detailing. Just a beautiful, simple sign with a cracking overall look about it, perfect for a kitchen, cafe, bar or restaurant. Wear commensurate with age with some chipping & surface wear to the enamel as pictured.